The origin of cosmic rays, high-energy particles from outer space unceasingly impinging on Earth, is among the most challenging open questions in astrophysics. 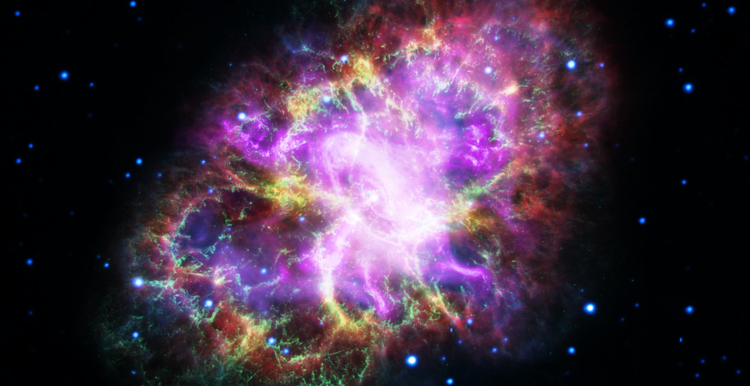 Discovered more than 100 years ago and considered a potential health risk to airplane crews and astronauts, cosmic rays are believed to be produced by shock waves — for example, those resulting from supernovae explosions. The most energetic cosmic rays streaking across the universe carry 10 to 100 million times the energy generated by particle colliders such as the Large Hadron Collider at CERN. New research published in the Monthly Notices of the Royal Astronomical Society sheds new light on the origin of those energetic particles. "The new result represents a significant advance in our understanding of particle acceleration at shock waves, traditionally regarded as the main sources of energetic particles in the universe," said the study's lead author, Federico Fraschetti, a staff scientist at the University of Arizona's Departments of Planetary Sciences and Astronomy. Several NASA missions, including ACE, STEREO and WIND, are dedicated to studying the effects of shocks caused by plasma explosions on the surface of the sun as they travel to Earth. Scientists hope that results from those experiments may shed light on the mechanisms of acceleration in objects such as the Crab Nebula.